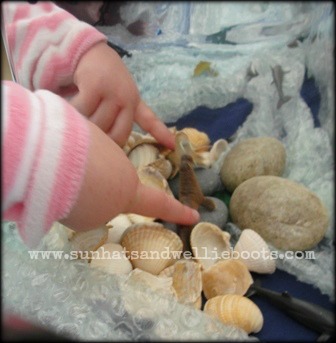 Recently we've enjoyed several days out at the beach & lots of beach themed play at home, splashing in the paddling pool & playing in the sandpit. I'd been trying to think of an activity that was versatile enough to have indoors & take outside & one which could stay out as a play area. 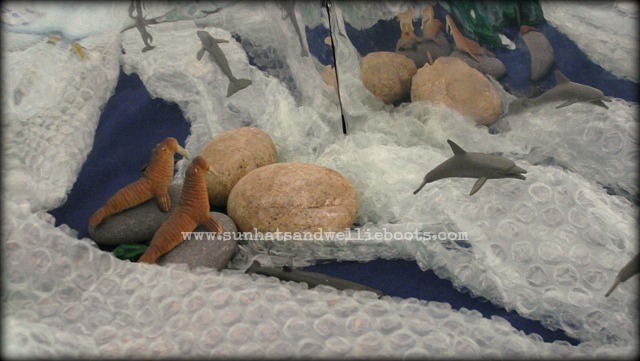 Then I came up with this Seascape Play Area. 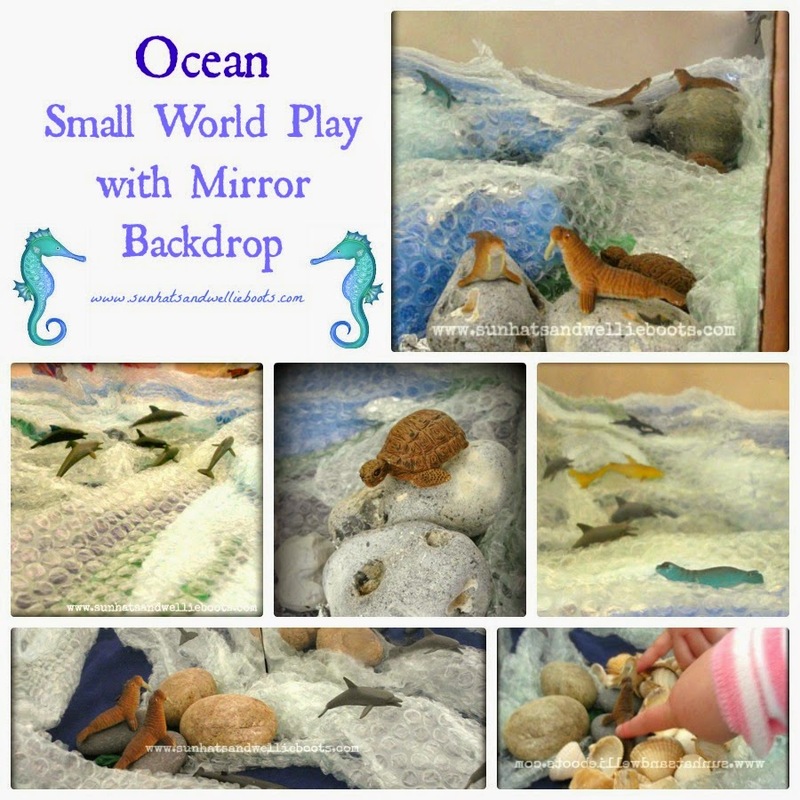 Using the mirror roll left over from our Mirror Discovery Box we created the reflective backdrop. After cutting up a large cardboard box, we covered three panels of cardboard with the mirror roll, before sticking them together (at the back) with masking tape. 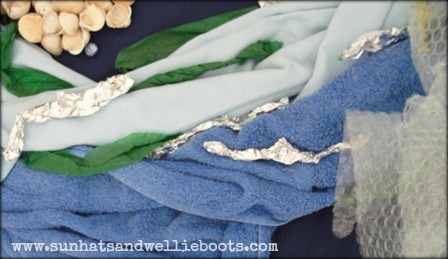 We talked about the colours of the sea while looking at some photos of our trips to the beach, & Minnie helped me find materials from around the house that represented those colours. 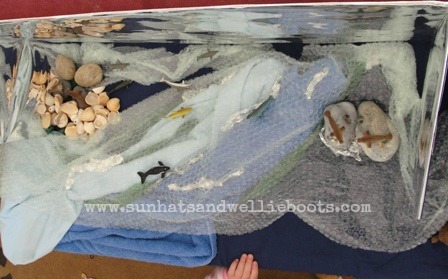 We used a dark blue sheet, blue towels, green paper, silver kitchen foil, recycled bubble wrap, a few pebbles, & shells from our days out at the beach, & decorated our coffee table to make our seascape. 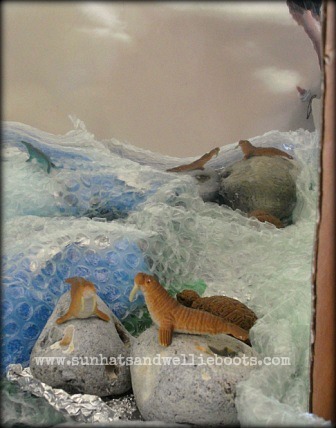 Minnie added her sea creatures to their new home. 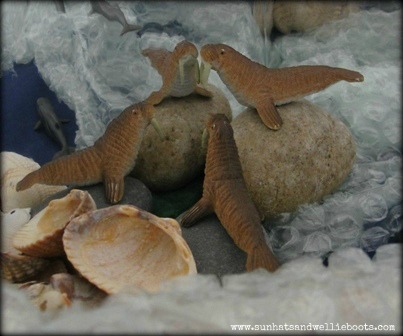 Here's an aerial view of our seascape. 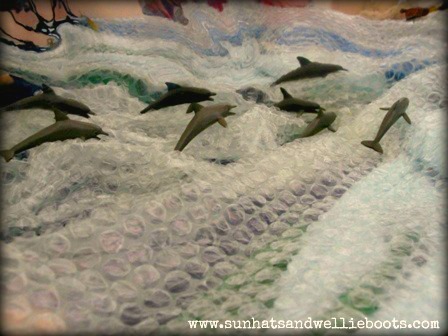 The bubble wrap was great for the sea figures to lay on & 'swim' underneath & still be seen. 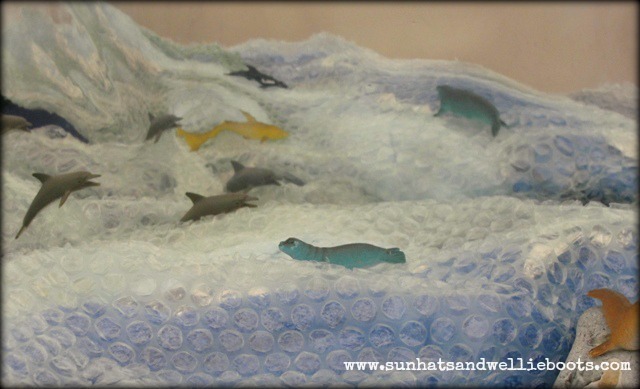 Ho many dolphins can you see? 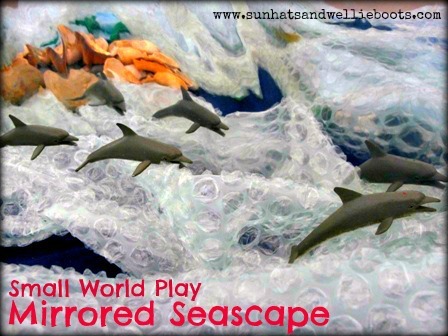 The backdrop made the seascape appear much larger, & allowed sea animals to be observed from all angles. 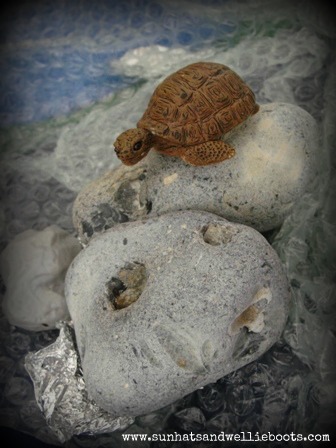 This play area has been explored & played with every day since it was set up. There have been some additions; cuddly toys have been for a swim in the sea, & boats have appeared along with more shells. 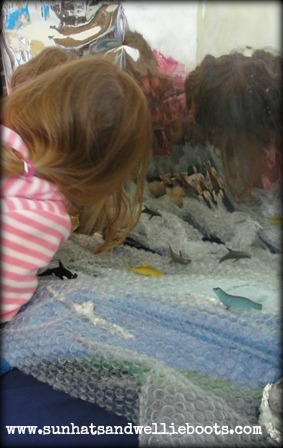 The triptych style backdrop enabled Minnie to be completely surrounded & immersed in the seascape.